The unmanned Antares rocket exploded Tuesday evening during liftoff from Wallops Island in Virginia. There were no casualties or injuries, NASA said. An unmanned Antares rocket explodes Tuesday afternoon in Virginia. 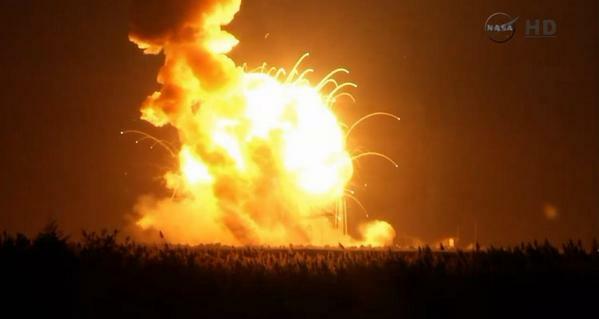 An unmanned Antares rocket exploded Tuesday evening in Virginia shortly after liftoff. The rocket was manufactured by Orbital Sciences Corp. and was carrying a Cygnus cargo logistics spacecraft. BREAKING: Antares rocket exploded on launch. The launch took place at 6:22 p.m. ET, and was supposed to resupply the International Space Station. The explosion occurred six seconds after liftoff, NASA officials said during a live stream after the explosion. The cargo vehicle attached to the rocket was carrying 5,000 pounds of supplies, including about 1,300 pounds of food. The cargo also included an array of science experiments, including some designed by high school students. NASA officials described the explosion as a "catastrophic anomaly" but said it did not cause any deaths or injuries. During a NASA live stream after the explosion, an official said the takeoff was "flawless." Officials were still working to gather data half an hour later. 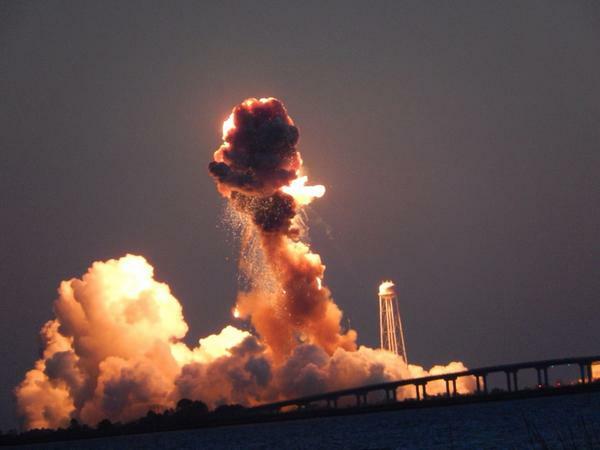 Just after the explosion, Orbital Sciences Corp. tweeted that there was a "vehicle anomaly." Orbital Sciences Corp. issued a statement after the explosion Tuesday saying it was "securing the site and data." Company Vice President and General Manager Frank Culbertson also said Tuesday that "it is far too early to know the details of what happened." The Antares launch had been scheduled for Monday, but was postponed to Tuesday after a boat entered its range. Earlier Tuesday in a blog post, NASA said there were "no technical concerns with the rocket or spacecraft being worked." The Orbital Sciences Corp. statement also reveals the company had not been "tracking any issues" prior to the explosion. 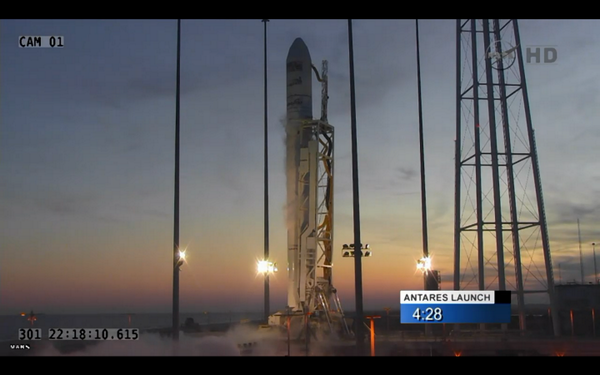 We're 4 minutes from launching #Antares to @Space_Station. #Cygnus on internal power. Images from a NASA live stream showed smoke and fire minutes after the explosion. The rocket was launched from Wallops Flight Facility in Virginia. Tuesday's launch was the third of eight scheduled missions Orbital Sciences Corp. was hired to carry out. Shortly after the explosion, the company's stock dropped in after-hours trading.